Blockchain and cryptocurrencies — you’ve probably heard these buzzwords reverberating across the fintech industry and beyond. Cryptocurrencies, like Bitcoin, are just one of the many applications of blockchain, and they are effectively responsible for bringing blockchain into vogue. Bitcoin, the first iteration of cryptocurrency, and blockchain, the tech framework in which it runs, have been around for a decade. Excitement about these emerging technologies is akin to the 90s’ hype surrounding the World Wide Web. As with all nascent technologies, blockchain’s reception has been mixed as many have concerns that it may disrupt conventional industry processes (i.e., causing the obsolescence of the ‘middleman’) and the cryptocrime that it can enable . These worries make blockchain subject to continually evolving regulations imposed by governments to precede its wide implementation. Despite all this, the Canadian government is still pushing forward with blockchain-based pilot programs. So, what is blockchain? Let’s have a look at a simple blockchain definition as well as a few blockchain uses that the Canadian government may have its citizens embrace in the near future. Blockchain and Bitcoin: How Does It All Work? 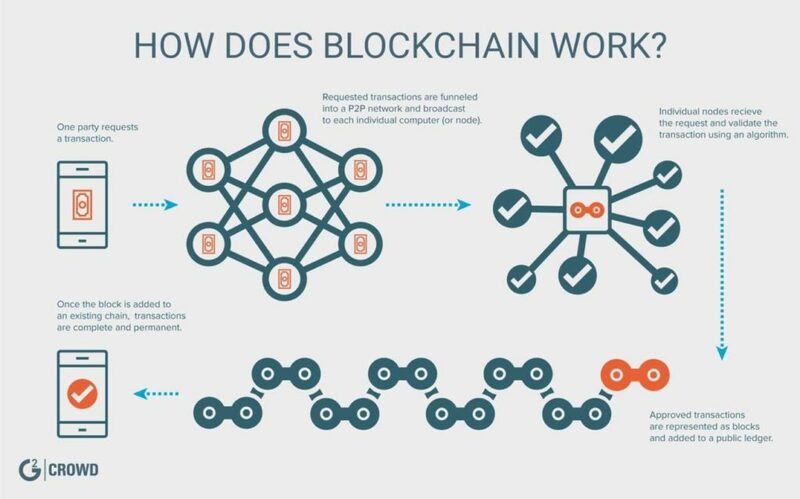 Blockchain is a distributed ledger that facilitates encrypted transactions on a peer-to-peer basis, without the use of intermediaries to verify transactions. Blockchain is series of interlinked ‘blocks’ that tell an unalterable digital narrative of transactions, where each block is a record of a transaction that has taken place with all relevant details enclosed. For the Bitcoin blockchain specifically, these details specify a sender, a recipient, and the quantity of funds. Blockchain can also be used for supply chain management, where details enclosed in each block act as a timestamp that can track a shipment’s journey and arrival to a distribution centre. Blocks in the blockchain are created at a set frequency. In the case of the Bitcoin blockchain, blocks are created roughly every ten minutes. As transactions occur they are initially queued as “unconfirmed transactions” that await being written into a released block. If the transaction is validated between two parties, the transaction is then “confirmed”, pulled out of the queue, written into a block, then ‘linked’ to the chain through a cryptographic hash that can only be joined with the previous block. Once a block has been added to the blockchain, it is then a permanent digital record that cannot be altered. This is the very feature of blockchain that gives it such powerful leverage over other transactional processes. Conceptually, blockchain is designed to provide digital transparency as well as a secure, efficient and cost-effective way to conduct and record transactions without a third party exacting fees to verify them. Blockchain’s possible applications are vast: from financial transactions, supply chain management, security verification, healthcare, IOT, the list goes on. Let’s start with the first use-case it was built for, Bitcoin. Though there are literally thousands of cryptocurrencies in the digital currency market, Bitcoin is the foremost, originally created for and ‘mined’ through blockchain technology. As with other cryptocurrencies, it has no intrinsic value and its price point is based on (at times volatile) market conditions. “Only” twenty-one million bitcoin were ever intended to be put into digital circulation, with each release of bitcoin meant to render the next incrementally more difficult to extract. At the time of writing this post, the number of bitcoin that have been mined into circulation (out of the 21 million possible) is fast approaching 17 million. Bitcoin miners use an enormous amount of electricity when they harness the power of hardware and software needed to mine bitcoin and logically secure and process transactions in the blockchain network. Through this process, miners “find” the blocks that are written into the blockchain. Everytime a block is found, miners are rewarded with bitcoin in return. 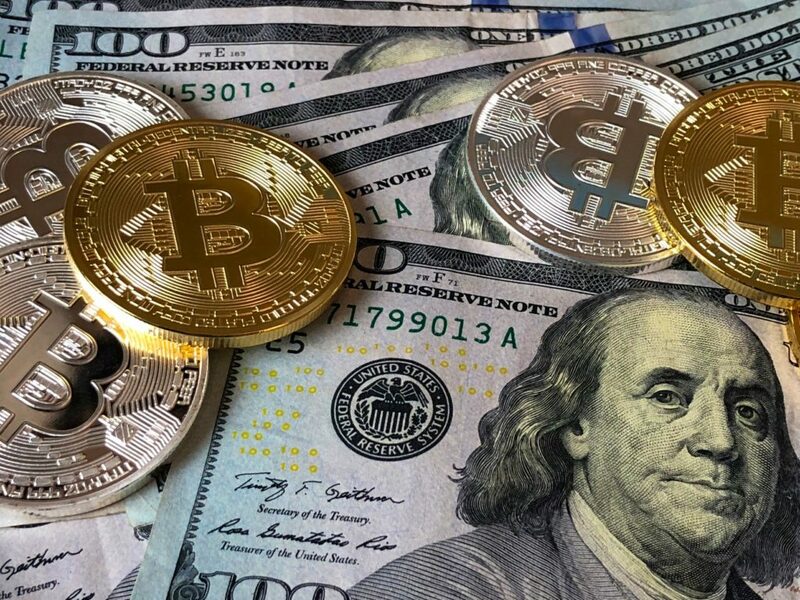 Blockchain and bitcoin have a feedback relationship; miners are awarded bitcoin as an incentive to maintain the blockchain network, and blockchain technology is used to verify the transactions that occur on the Bitcoin network. Though cryptocurriences were responsible for bringing blockchain to the forefront, they are but one application of blockchain technology. Whether blockchain can exist without cryptocurrencies is a contentious question. Governments, however, are recognizing use-cases of blockchain technology for the cost efficiency and transparency that it can provide its users. Now, let’s get back to the technological framework that is blockchain and how our government is using its other applications while emboldening the blockchain movement. Canada is introducing the following two pilot programs that will implement blockchain into their processes. 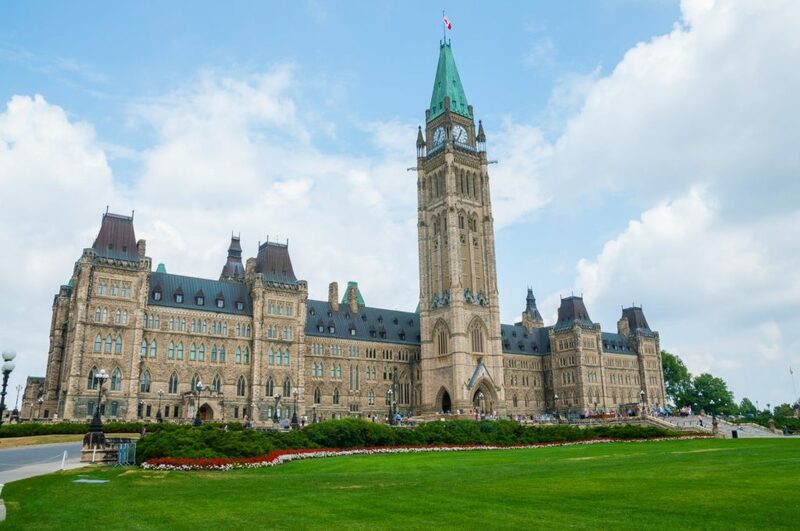 In partnership with Accenture, WEF and other global partners, the the Government of Canada is working to release a blockchain- and biometrics-powered prototype that addresses the inefficiencies and error margins in cross-border security. This program will allow travelers to transact digital proofs of their identification to the airport, government and other relevant private/public sector bodies using blockchain and biometrics. This program will aim to improve the visa processes, flight bookings, customs and cross-border security. If this is ever widely implemented, a simple fingerprint and government verification of your identity could be all it takes to expedite your future flight bookings and passage through security checkpoints with little margin for fraud or bureaucratic error. With the National Resource Council (NRC), the Government of Canada is also to release a pilot program with Ethereum (a blockchain iteration) as a new mechanism to invest back into the economy. Under this program, government grants transacted toward institutions and entrepreneurs would have, as the NRC has stated, “…unprecedented levels of transparency and trust allowing public records to be searched, verified and audited […]”. All grants that have been transacted could then be subject to public scrutiny as blocks of transactions made — i.e., the recipients, grant intent, and dollar amounts dispersed — could be viewed. Governments now, including our own, are learning that blockchain is not likely a tech fad but here to stay and it’s best to not brace against the imposing wave. 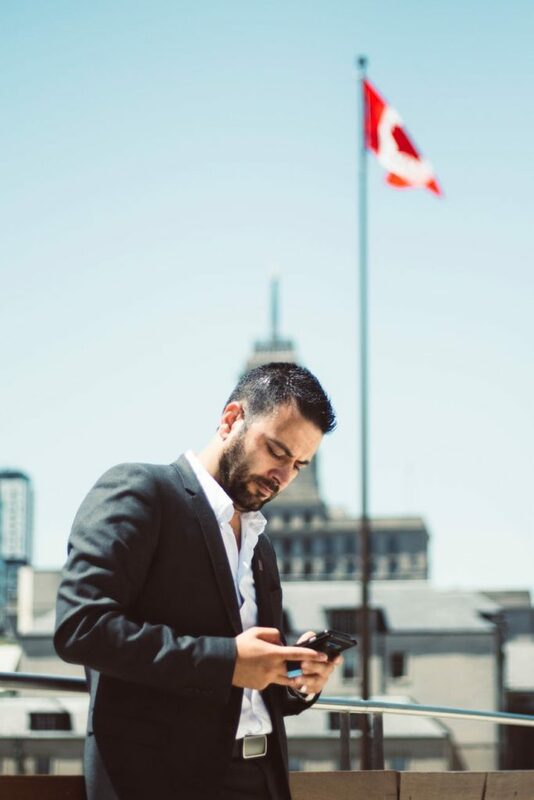 With its implementation in Canada, blockchain will reshape the relationship of security, trust and transparency between the Canadian government and its citizens and, perhaps on a less macro level, to expedite daily business operations. Do contact Gravit-e for blockchain related inquiries for your software project!